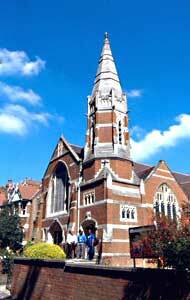 We've been here in Hornsey since 1908 and have maintained a continuous Christian presence since that time. We meet for worship each Sunday at 11.00am. Children leave the morning service part way through and go to Sunday School for their own programme. Our premises are well used by other groups as well as by our own congregation. Come along and see us whenever you're in the area. You'll be made very welcome. 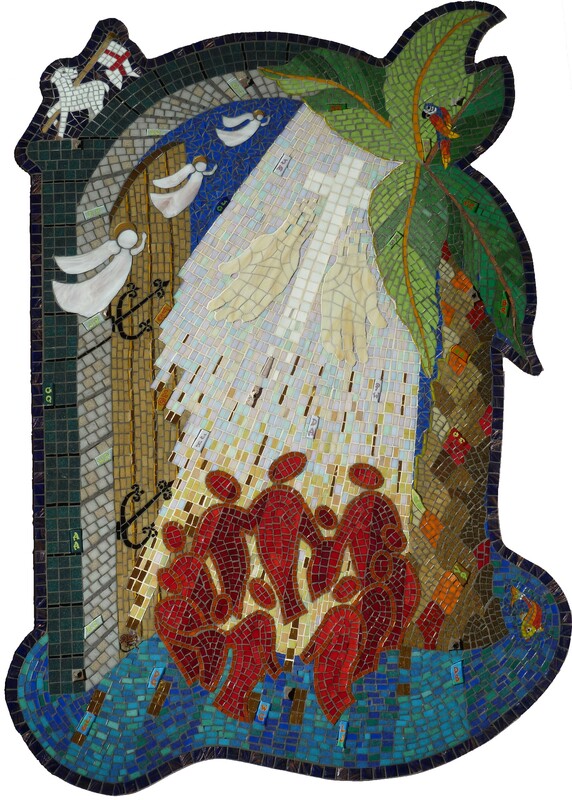 (left) Our children and young people, helped by their Sunday School teachers worked with Sarah Fairclough, a professional mosaicist, to produce this wonderful work of art. Click here to read the story of its genesis. (right) A weekly newssheet is produced containing the day's order of service and notices for the coming weeks. An important part of the newssheet is a prayer list which, however, is not available online.Click here for the current edition. An occasional newsletter is sent out periodically highlighting various aspects of the work of the Moravian Church overseas. Click here if you would like to read the most recent edition. 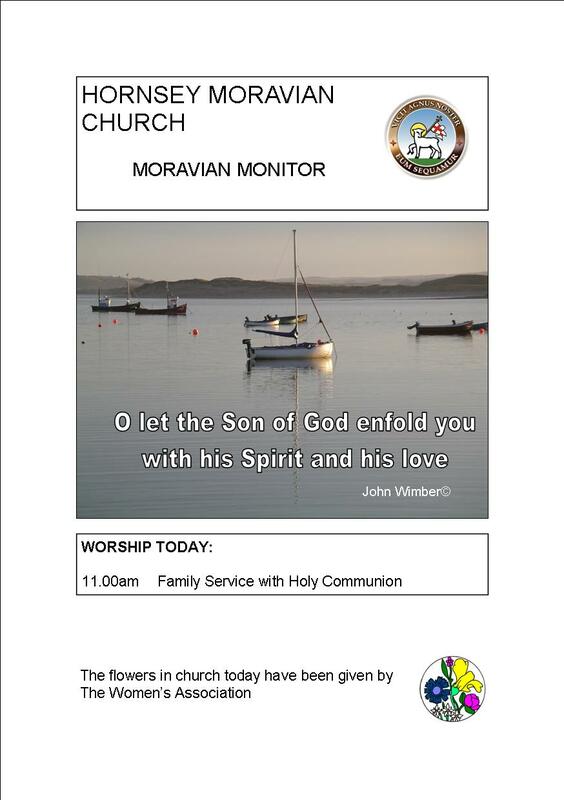 Copyright ©2014 Hornsey Moravian Church.